Here’s my fabric haul from Boston. 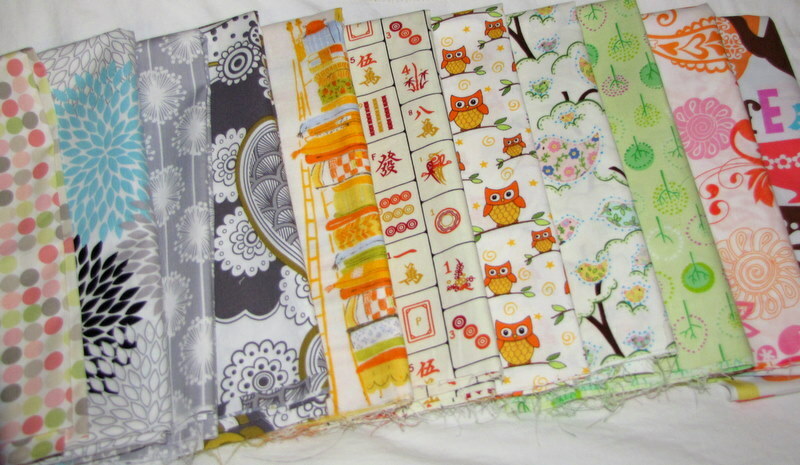 Cambridge Quilt Shop really did have some great stuff. Collections from left to right: some Moda polka dots (can’t remember what collection this is), Riley Blake Andrea Victoria collection (next 2), Alexander Henry “Cinzia”, Heather Ross’s Far Far Away collection (this print is sold out in so many places, very excited to see it here! ), Lotus by Timeless Treasures, Whos Who from Deb Strain’s Love U collection for Moda, Treetop from Alexander Henry, Erin McMorris’s Forest from her Wildwood collection for Free Spirit, Color Splash by Hoffman, and High Tea from Michael Miller. I’ve joined 2 virtual quilting bees! Not Your Grandma’s Quilting Bee and the Pretty in Pink Bee. It’s very exciting, my months are January and February of next year, so I’ve got a while before I need to cut and send out my stuff. Now I’m just waiting for my first assignments to arrive. I’ll have to get into the habit of using Flickr more, I tend to just post everything here on my blog and link to it. I’m completely in love with this school-themed baby shower that was featured on Amy Atlas’s blog. Such a cute idea, I love theme parties! I’ve started working on the spring Library Tree at work. 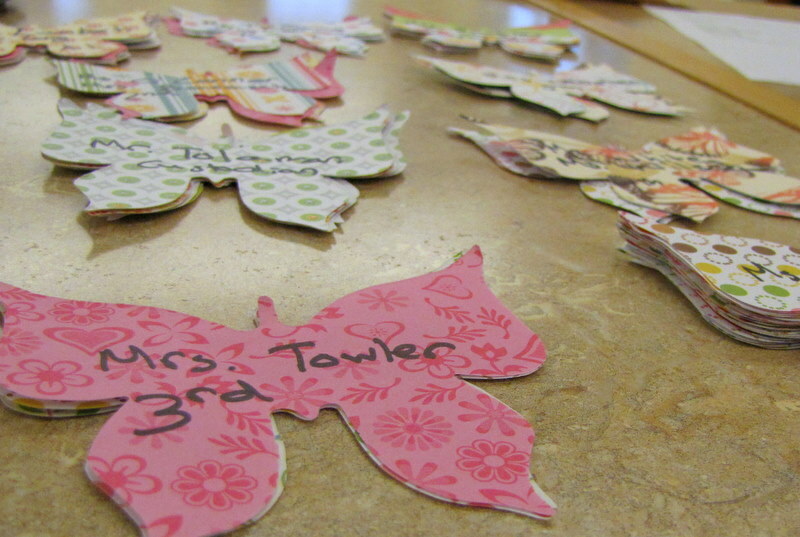 We don’t have a good flower die cut, so I’m going with butterflies this time.